I was in the States one day and I noticed this store. OMG!! Needless to say I just had to buy a pair. Now I'm ready to play with ya all. 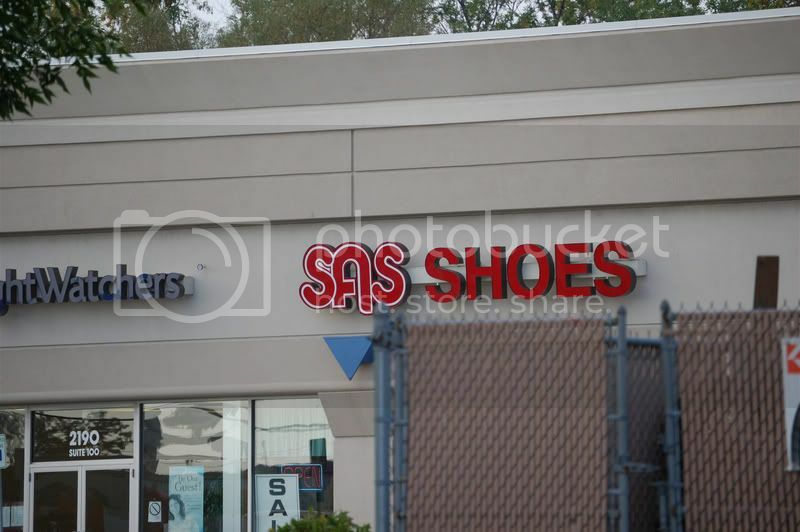 Got my SAS shoes and now I can sneak around just as good as SAS. Whats funnier is the weightwatchers store next to it. Thought you all would get a good laugh over that. LOL, I just saw another one here in Southern California. I would like a pair or two of those shoes. Do they come in all sizes?